From your home destination you should travel to Stockholm Arlanda Airport (ARN) and then onto Luleå Airport (LLA). 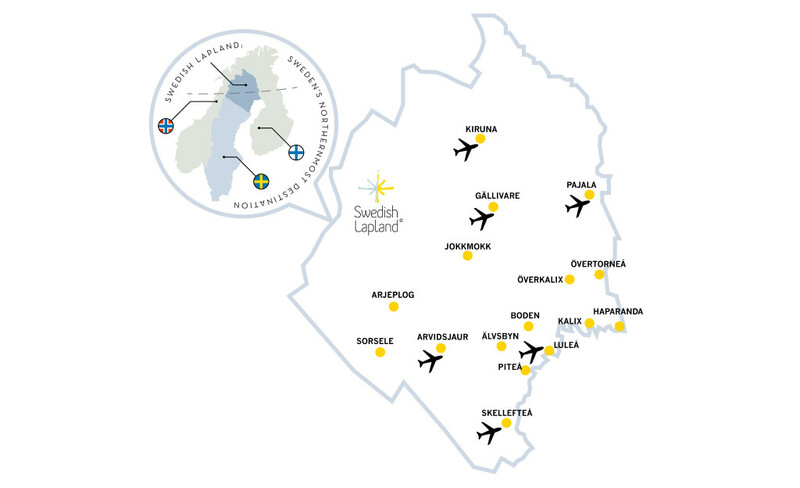 Current airlines between Stockholm and Luleå are Norwegian and SAS. Luleå Airport is located only forty kilometres from Boden. The airport acts as a domestic and international airport and is the fifth largest airport in Sweden in terms of passenger numbers. Travel to and from the airport is simple and convenient, whether you travel with your own car, transfer, airport taxi or airport coach. Several car rental offices are located at the airport, including Avis, Mabi, Budget, Europcar and Hertz. Luleå Airport is the door to an attractive and exciting destination situated at the top of Bottenviken, and is the gateway to Swedish Lapland. 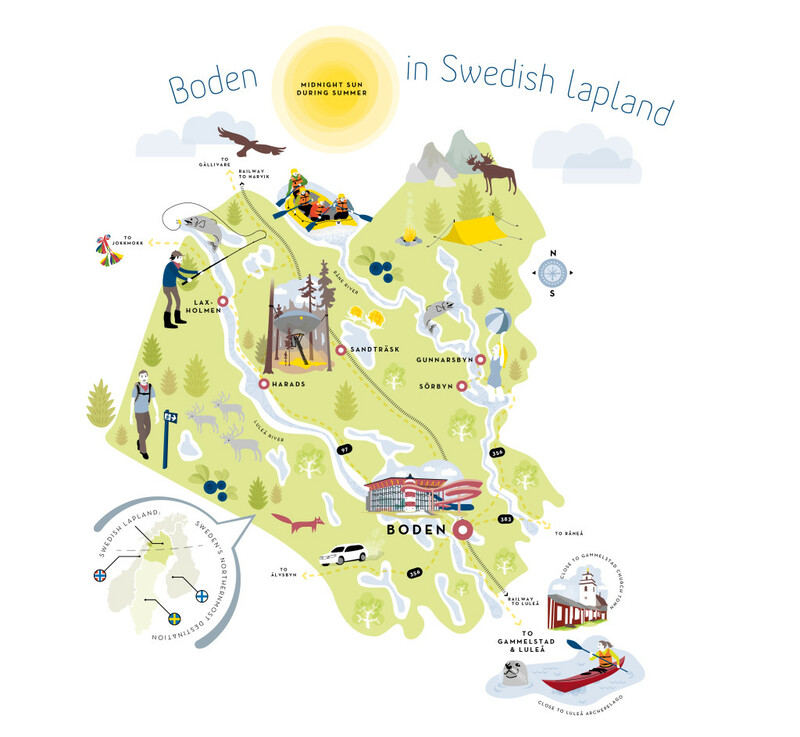 Boden is also available from Arvidsjaur Airport, Kiruna Airport and Skellefteå Airport. Boden C is a railway link and therefore the city is easily accessible by train. The railroad in Sweden is well developed and offers an exciting and environmentally friendly way to travel. You travel smoothly and comfortably across the countryside on some of Europe’s most modern trains. If you choose the night train from Stockholm, sleeping compartments are provided. Train is also an easy way to continue your travel. From Boden C you reach the destinations north as Gällivare, Kiruna, Abisko, Riksgränsen and Narvik. An ordinary trip is from coast to coast, starting in Luleå and then on to Narvik in Norway. Another trip that is possible to do is a day trip, Boden – Kiruna. You get on the early morning train to Kiruna, and take the bus from Kiruna to Jukkasjärvi to visit world famous Icehotel. You then take the bus back to Kiruna and catch the train to Boden in the afternoon. Bus traffic complements rail traffic well. Norrbottens Länstrafik takes you further to places that the train does not reach. It is possible to pre-book Flygtaxi (Airport transfer) that get you to and from the Airport in time for your flight. If you want to go for a taxi at the destination, you can book it on site. Many of the companies offer transfer to and from their accommodations and activities. Rental car is another way that makes it easy to get to and from the airport, as well as around the destination and the region. You get more out of your visit with a rental car. To keep in mind is that during the months of November to May there is winter road and with that other conditions for safe road trips. On the other hand, summertime is good by road and the bright summer nights give you a good view around the clock.